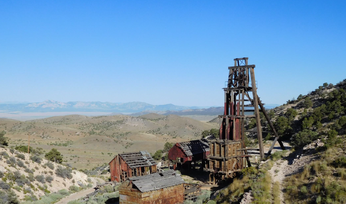 Alderan Resources (ASX: AL8) is starting to unlock the potential of its Frisco copper project, a former fragmented historical mining district in the mining-friendly state of Utah, which the company has consolidated to allow for its first ever systematic modern exploration. The scale of the Frisco project is demonstrated by the two systems that "book end" it - the large copper-zinc-lead-gold-silver bearing skarn at Accrington which measures up to 4km-by-2km, and the cluster of copper-gold-silver breccia pipes at Cactus over 5km to the north. With exploration continuing to demonstrate strong mineralisation at Accrington, Alderan is positioning itself to meet the anticipated future supply deficit in the copper market thanks to the twin factors of growing demand and tightening supply due to the lack of recent copper discoveries. "We think Accrington will end up hosting several different types of deposits, one being a principal copper deposit," CEO Christopher Wanless says. "It also has very strong potential for high-grade lead-zinc-silver and gold targets throughout the skarn." It's the scale of Frisco's economic potential and the unique opportunity presented by the first-ever consolidation of exploration rights across the district that appealed to Alderan, which was backed by investors in a recent A$3 million raising. Funds raised are to fund an ongoing drilling programme at Accrington where the company is aiming to demonstrate its potential to host a large deposit amenable to modern mining. As Wanless describes it, he faces an enviable situation with so many targets at his fingertips which leads to a dilemma of which areas to prioritise. "We have had two major drilling campaigns now, at the Cactus breccia pipes and the current program at Accrington with both programmes having only scratched the surface of these prospects," he says. "At Accrington, the current drill programme is testing out an area of approximately 800m-by-200m, which represents a fraction of the 4km-by-2km area that hosts historical mining activity. "At Cactus we have only tested an area between the Cactus and Comet breccia pipes which are just two of a cluster of tourmaline breccia pipes that are known to often increase in size with depth and can have vertical extents of more than 1,000m. Frisco itself spans about 7km-by-4km and has seen no modern exploration prior to Alderan's acquisition - the first time the circa 600-claim project has been consolidated in the mining district's history. "It's probably one of the best places to build and permit a mine in the US," Wanless says. "You've got all the infrastructure there and the prospects are located almost entirely on private land." Assays from Accrington are starting to deliver some significant results in terms of the width and extent of the mineralisation, with initial results including 102m at 0.58% copper, 0.6% zinc and 9g/t silver from 194m; and 54m at 1.4% copper, 0.45% zinc, 0.19g/t gold and 20g/t silver from 46m - including 14m at 3.4% copper, 1.15% zinc, 0.22g/t gold and 28g/t silver from 82m. 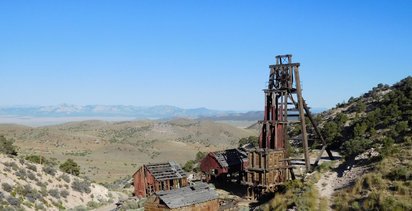 Recent channel sampling from historical mine workings also returned 72m at 0.77% copper, 0.3g/t gold, 12g/t silver, including 18m at 1.57% copper, 0.35 g/t gold, 24g/t silver and 12m at 1.56% copper, 0.86g/t gold and 21g/t silver. These results have confirmed thick mineralisation across approximately 500m strike with much of the Accrington skarn to be explored. Additional targets at Accrington include a southern corridor at least 2km long, which hosts the Peacock, Apex and Horn Silver Mine targets. These targets exhibit coincident surface alteration, mineralisation and historical mining activities associated with significant geophysical (chargeability) anomalies at depth, possibly representing zinc-lead-copper-silver-gold sulphide mineralisation. 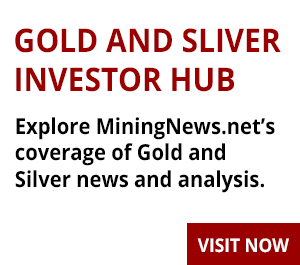 "These southern targets show extensive alteration indicative of a different style of mineralisation that is likely to be gold and silver enriched, compared to base metal targets elsewhere in the skarn," Wanless says. 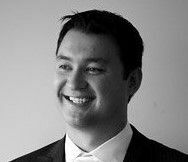 Alderan debuted on the ASX in mid-2017, however, the company had worked patiently in the years prior to listing, to avoid the pitfalls that can befall juniors trying to obtain claims in the US. "In Australia you can obtain mineral rights at the click of a button. America is more difficult with mineral rights split between private, state and federal ownership with many small claims and landholdings leading to very fragmented ownership," Wanless says. "We made sure we spent the time prior to listing, to consolidate the land and track down and acquire all the historical exploration data." The company now has data from the vast majority of approximately 250 historical drill holes on the project, giving it a sound understanding of the work already done in the area. Wanless paid tribute to local man Page Blakemore Senior, who spent about 40 years consolidating the majority of the private claims, which were owned by multiple individuals and entities, with Alderan then taking the final steps to consolidate them along with the federal claims in between to create the overall Frisco project. "We didn't actually think we could consolidate the project early on, it only happened over time," he says. "Then it became a matter of getting onto the ground and doing the work, mapping, sampling and conducting geophysical surveys which led to the targets we are drilling today." In terms of the ability to take the project forward, Wanless points to the wealth of experience on Alderan's board. "We've got in place a team that I think is exceptionally strong," he says. The company was founded by Wanless, chairman and London-based investment manager Nicolaus Heinen and chief geologist, Peter Geerdts. The company has also brought former Rio Tinto copper executive Frank "Bruno" Hegner on board for his project management and permitting expertise to guide Frisco's progress. Joining them on the board is well-credentialed mining industry figure Ernest Thomas Eadie, who together with Tolga Kumova, a major shareholder and supporter of the company, were the founding chairman and former managing director of ASX-listed Syrah Resources which discovered and started development work on the Balama graphite project in Mozambique. Wanless himself has been involved in the resources sector for more than 10 years, founding Alderan in 2013 and previously General Mining Corporation. He describes Frisco as a large, complex mineral system and is confident the junior is taking the right approach given its scale and potential. "It's a large project and in a way that comes with positives and benefits in having huge amounts of potential across the project, we have hit mineralisation in almost every drill hole and believe it is just a matter of time before we hit the motherlode," he says. The company is currently reviewing the drilling work done last year at Cactus that demonstrated the continuity of mineralisation between the historical Cactus and Comet mines, across a 1km structural corridor. 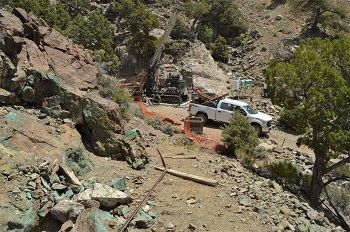 Drilling highlights included 32.5m at 1.24% copper, 0.31g/t gold, 10.6g/t silver and 0.04% molybdenum from 61m, with the Cactus deposit remaining open in all directions. 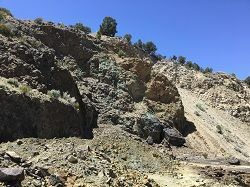 "We're in contact with one or two individuals who have expertise with tourmaline breccia pipes and what we're learning is that the tourmaline breccia pipes have the ability to get bigger at depth with higher grades sitting at the lobes and margins," Wanless says. "Our magnetic surveys clearly identify the Cactus and Comet breccia pipes which are only two of a number of breccia pipes out there, some of which may be quite large. "These are still very attractive targets that can host high grade mineralisation and we have certainly only scratched the very surface of those breccia pipes so we are keen to get back there to test these targets. Meanwhile the company is currently firmly focused on rapidly building value by drilling out and demonstrating the resource potential at the Accrington skarn. "We're trying to find the high-grade parts of the system to derisk the project from an economic standpoint," Wanless says. "When it comes to exploration the main point to distinguish one company from another is really the economic potential of a project and jurisdictional risk. "We certainly think there's huge economic potential in the Frisco project in both the Accrington skarn and the northern breccias and they just happen to be located in one of the best jurisdictions to build a mine as well. "We have been working diligently towards proving that potential and believe it's just a function of time and drilling to define those resources and find those high-grade parts to derisk the project. "We think the Frisco project in the United States is quite a unique opportunity."